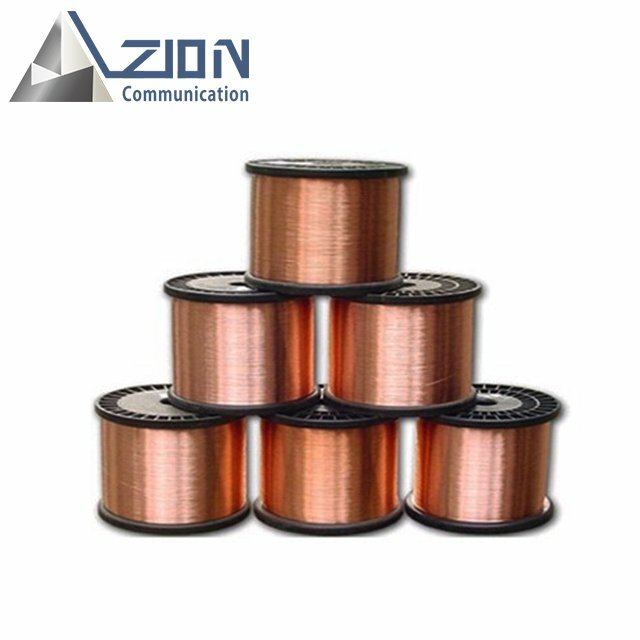 Copper Clad Aluminum Magnesium Wire - Buy Copper Clad Aluminum Magnesium Wire, CCAM WIRE, CCAM Product on ZION COMMUNICATION To be the primary provider of the products and services in the field of signal transmission all over the world! 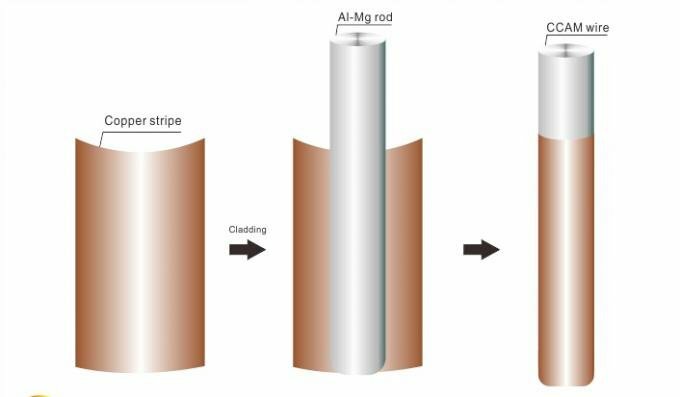 Copper clad aluminum wire is produced with the production process of cladding-welding- drawing method, by cladding planished copper stripe concentrically on the outer surface of the aluminium core, via several times of drawing and heat treatment, to meet customers' technical requirement on line diameter, mechanical property and electrical property. 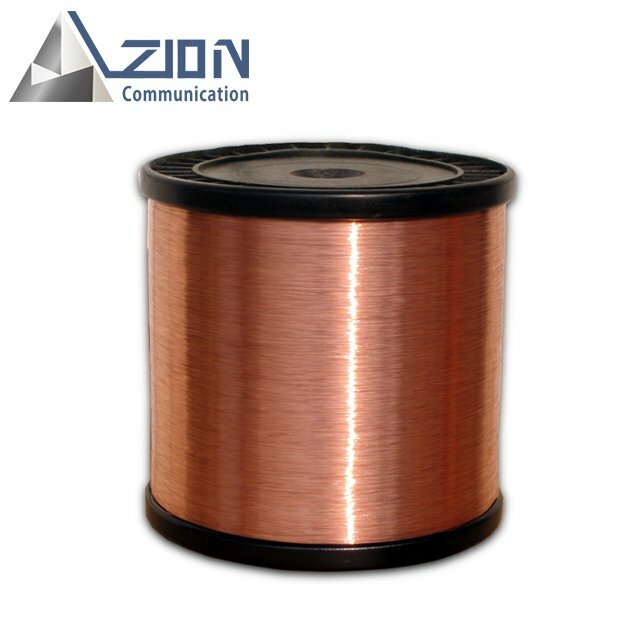 The copper clad aluminum wire characterizes by both the samll density of aluminum and the good conductivity of copper. 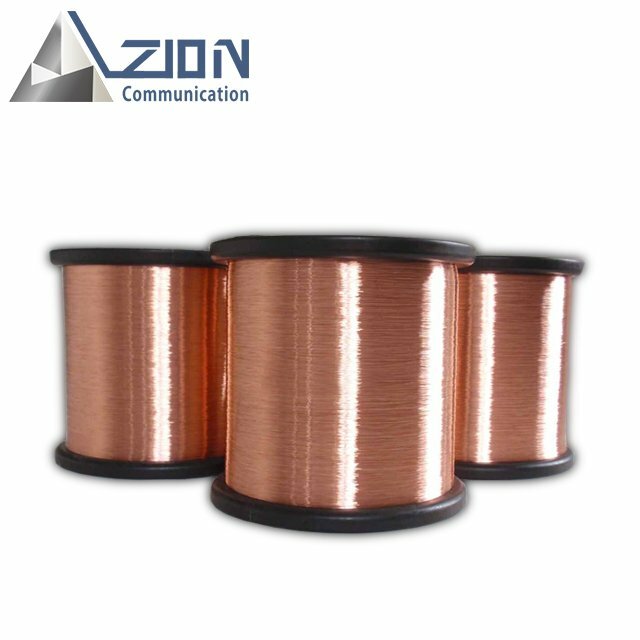 Copper clad aluminum wire is produced with the production process of cladding-welding- drawing method, by cladding planished copper stripe concentrically on the outer surface of the aluminium core, via several times of drawing and heat treatment, to meet customers' technical requirement on line diameter, mechanical property and electrical property. The copper clad aluminum wire characterizes by both the samll density of aluminum and the good conductivity of copper. 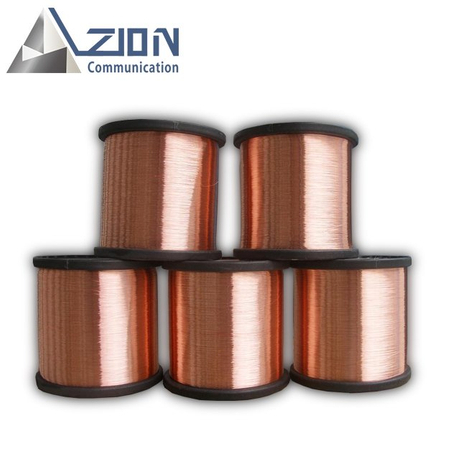 This kind of bimetallic composite wire is suited for most electrical conductor applications.The processing method of CCA wire is similar to that of copper wire during cable manufacture. 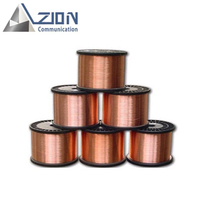 It can be extensively used in CATV signal transmission, HC communication network signal transmission, control signal cable, light vehicle cable, welding cable, urgent removal cable, TV exciting coil, deflecting coil, ballast coil and so on. In HF signal transmission, it is applied to: Standard Material of Conductor in CATV Coaxial Cable; 50 Ohm Radio Frequency Aerial; Leaky Cable; Soft Coaxial Radio Frequency Cable; Data Cable In power transmission and LF signal transmission, it can be applied to: Twisted Pair Power Cable Control Cable Building. Cotton Covered Wire Busbar & Other Conductors In special electromagnetic wire, it can be applied to: Coils or windings in computers, mobile communication equipments, spaceflight & avigation and military industry instruments.